The Wild & Weird American Film Market Po.. 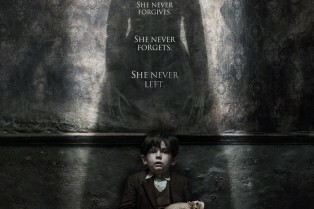 The Official One-Sheet for The Woman in Black.. 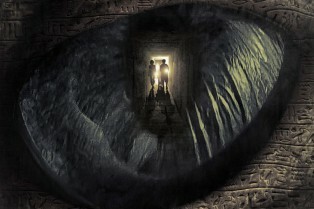 Exclusive: The Pyramid Gets a New Poster! Clown Poster Banned in Italy, Here’s th..
As we edge closer to the American Film Market here in Los Angeles, Shock Till You Drop will be bringing you a look at some of the fright films heading your way over the next year or so. We’ll be bringing you trailers, artwork and “first news” for myriad genre titles. We begin with Another from writer-director Jason Bognacki. The things you find on Instagram… The prints you see via our gallery here have been popping up in my feed, so I had to track down the artist and see what they were all about. The man behind illustrations is Gabrial Hernandez of Worthy Enemies. 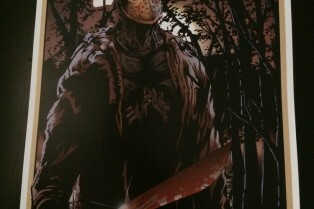 He has reimagined some of the big contemporary icons of our time like Leatherface, Freddy Krueger, Jason Voorhees, Pennywise and Michael Myers. Prints of these bad boys are going to be made available via the Worthy Enemies site here. Right now, they’re just listed as “coming soon” but keep your eyes peeled! 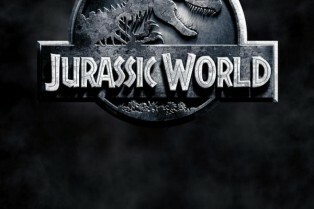 A new poster has just been revealed for Colin Trevorrow’s Jurassic World! Trevorrow himself tweeted the image, which you can check out in the gallery viewer below, alongside the new tagline, “The Park is Open”! And from the look of the poster…it appears something dark is on the horizon. Summer of Blood’s U.S. one-sheet is full of raves (?). Shock Till You Drop has your exclusive first look at the poster for this horror-comedy which recently received a release date of October 17th from Dark Sky Films. Onur Tukul writes, directs and stars in the film which also features Alex Karpovsky, Anna Margaret Hollywman, Dakota Goldhor, Dustin Guy Defa and Keith Poulson. Exclusive: Here’s the Online Poster Debut for Late Phases! Shock Till You Drop has your first look at the official one-sheet for Late Phases, the English-language horror film from director Adrian Garcia Bogliano (Here Comes the Devil). Dark Sky Films is handling distribution of the lycanthrope-filled romp which stars Nick Damici, Ethan Embry, Tom Noon and Lance Guest. Look for it to arrive before the year closes out. 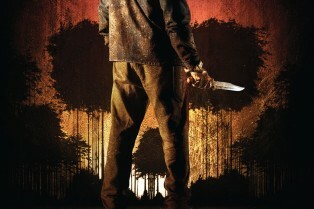 The Official Trailer & Poster for The Town That Dreaded Sundown! 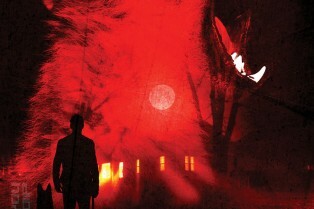 Blumhouse unveiled the official trailer and one-sheet for The Town That Dreaded Sundown remake. 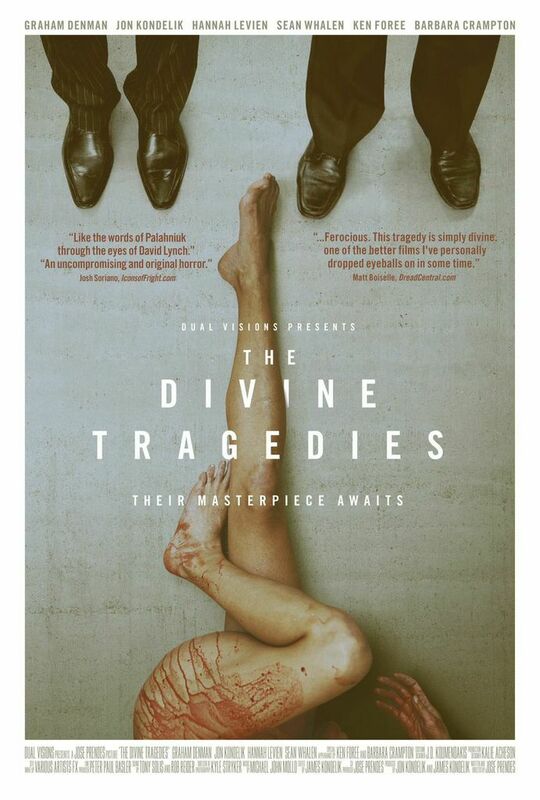 The film is going to play at both Fantastic Fest and Beyond Fest this fall before its release on October 16th. SpoilerTV has a look at four new American Horror Story: Freak Show posters that are touting the fourth season debuting on October 8th. Check them out below. American Horror Story: Freak Show begins its tale in the quiet, sleepy hamlet of Jupiter, Florida. The year is 1952. 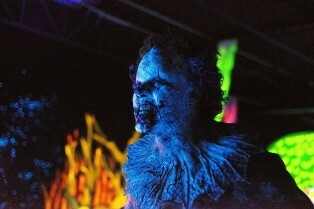 A troupe of curiosities has just arrived to town, coinciding with the strange emergence of a dark entity that savagely threatens the lives of townsfolk and freaks alike.This is the story of the performers and their desperate journey of survival amidst the dying world of the American carny experience. IFC brings The Pact 2 to VOD this Friday, September 5th (limited theaters on October 10th) and our reps there have passed along this one-sheet in anticipation of its release. The CW has debuted the Season 10 poster for Supernatural, starring Jared Padalecki, Jensen Ackles, Misha Collins and Mark Sheppard. 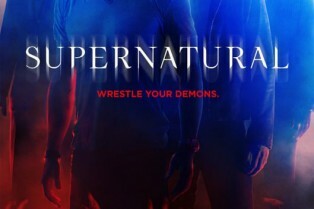 The new season of “Supernatural” kicks off Tuesday, October 7 at 9pm ET, following the series premiere of The Flash. A Supernatural Retrospective will also air on Monday, October 6 at 9pm ET, following the premiere of The Originals. In the special, executive producers and stars share their favorite memories over the last nine years and tease what’s to come. Four new posters to show off this afternoon. 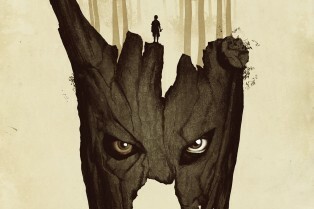 The first – and my favorite of the lot – is for Cub, followed by the sequel Dead Snow 2: Red vs. Dead, the Elijah Wood-starring Open Windows and the supernatural intervention thriller Inner Demons. Blake Armstrong. 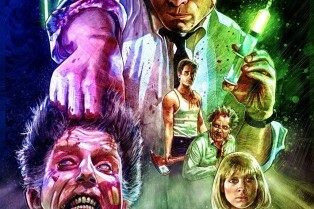 That name should be familiar to you by now because I was heaping praise on the man and his artistic talents in the news recently with a spotlight on his recent Re-Animator print. 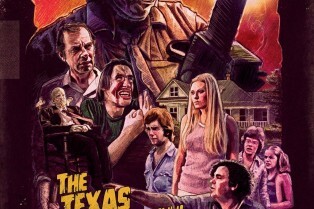 For the last few days, Armstrong has been teasing via Twitter and Instagram a new piece dedicated to that horror masterpiece that’s celebrating its 40th anniversary this year: The Texas Chain Saw Massacre. And it has finally been revealed in all of its glory. The Whole Gang from American Horror Story: Freak Show Revealed! Step right up! 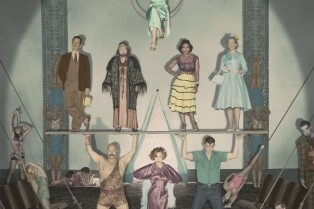 FX has provided us with the key art for American Horror Story: Freak Show which reveals its whole cast. Click below to see a larger version. 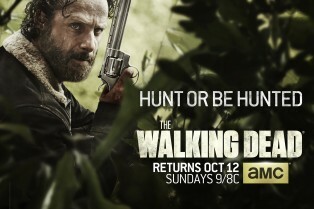 The new season kicks off on October 8th. American Horror Story: Freak Show begins its tale in the quiet, sleepy hamlet of Jupiter, Florida. The year is 1952. A troupe of curiosities has just arrived to town, coinciding with the strange emergence of a dark entity that savagely threatens the lives of townsfolk and freaks alike. Blake Armstrong’s work captured my attention over the last week, first on Instagram when someone reposted one of his prints inspired by Joe Dante’s The ‘Burbs. And, recently, he’s been posting “a work in progress” shots of a Re-Animator print that’s truly dynamic, vivid and – without question – great. I want this. His work evokes the master Drew Struzan and Armstrong has tackled Ghostbusters, Spaceballs and Guardians of the Galaxy. Armstrong’s site reveals he is self-taught and he has done some design work for the band In Flames.